Catastrophic accidents can happen at any moment. The pain and suffering that follow can affect an entire family. Struggling with your pain, supporting your family and negotiating with insurance companies are more than anyone should have to handle. Two brothers noticed that the hardworking people of Ohio did not have the support they needed when they suffered a serious injury. 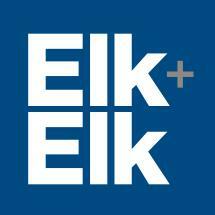 That is why brothers Arthur and David Elk founded the Ohio law firm of Elk & Elk Co., Ltd. Our firm is focused on one thing: getting injury victims and their families maximum compensation. We handle all types of personal injury claims. From personal injury to medical malpractice to defective drugs, we have the knowledge and skills to fight for the results you need. Injuries can affect an entire family, but our lawyers will take some of that stress away from yours. We handle all the legal paperwork, investigate your claim, negotiate with insurance companies and fight to protect your rights. Our lawyers have nearly 50 years of experience protecting injury victims and their families. With us on your side, you can be confident that your attorney has the experience and the resources to handle even the most complex claims.